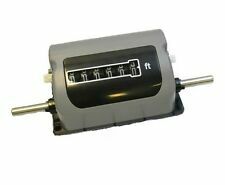 Kashimura down transformer Converter 220V-240V to 100V 100W NTI-1002 Japan new. 1x 20cm Black Multifunctional PCB Ruler. Suitable for ruler hanging slot. Component, IC pin pitch cross-reference: 0.5mm, 0.635mm, 0.65mm, 0.8mm, 1.0mm, 1.27mm, 2.0mm, 2.54mm. Size:21 4 1.6mm. Common line width size reference (unit: mil). Thrust：1.5N. You may also like. 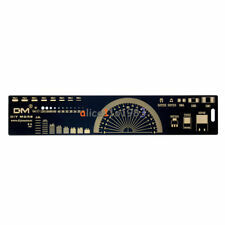 ALM:alarm led,on:frequency deviation accuary>0.1Hz,off：frequency deviation accuary<=0.1Hz. 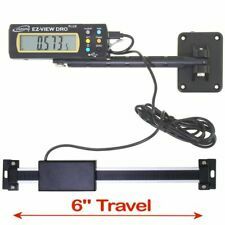 Remote readout display convenient for reading and operation. 1 x Digital readout kit(battery not included). Zero: Data reset. The display has a magnet on the back, which can be attached to the iron and is more convenient to use. 1 x RTL.SDR upconverter. Provide SDR# software and technical support. You may expect to receive a response to your inquiry within 24 hours. You need a 90 x 90mm reballing bga station to work with them. This set of bga repair stencil is made of high quality stainless steel. 1 x 10 pcs BGA Stencil Kit. 0.3mm Universal. 0.35mm Universal. 0.4mm Universal. You are purchasing 1x Mini Circuits SBL-1 Plug in Mixer. Reply within 24hours. We will reply you within 48 Hours. Rate (item arrived). SUNON HA40101V4-000C-999 maglev mute cooling fan DC12V 0.8W 40 40 10mm 2wire. Appearance size: 40mm 40MM 10mm. Without any screws,only fan. Noise: 16 (DBA). Speed monitoring: does not support. Local pick up is not available. 1x USB To USB Isolator. Tested part does not support the USB wireless network card, see USB flash drive. Avoid driving, it is more convenient to use. To this end, we specially designed to read and write a piece of code on the computer tool to facilitate the maintenance staff to improve work efficiency. Model Narda 370. DC to 18GHz, 5 Watt, 50 ohm. DC to 18GHz. 5 Watt, 50 ohm. This item is best described as it is pictured. Item Condition: Used but in good condition. Wide gauge : 15.24mm(600mil) 52mm narrow gauge : 7.62mm(300mil) 52mm. Can be changed DDR3 to DDR3L and back By changing the bytes in SPD. It is your ideal and useful tool notebook repairing partner. 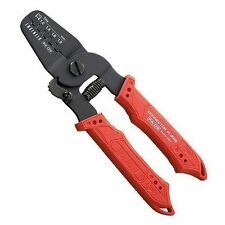 ● You can crimp of high precision. PA-09 New color version! such behavior. Trending at C $57.40eBay determines this price through a machine-learned model of the product's sale prices within the last 90 days. Couleur gris. fil de cuivre souple 7 x 0,152mm (0,072mm²). Tomtom Tom GO 630,730,920. 1pcs Touch screen (Digitizer). Because the touch screen has two types. 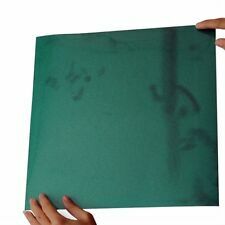 The touch screen with a double-sided adhesive paste. installation is very convenient. Fit Models. LED Strip Work Station 1 pc. Quickly and safely remove and install single LEDs on any TV LED strip. Size: 7 12 cm. Size:60 60 25mm. 1 PCS AVC Fan. Local pick up is not available. This international order may take longer to arrive. Magnetic & Clamp hardware on remote readout. Remote readout display convenient for reading and operation. 0-300 mm Digital Linear Scale. Product Details(100% real photograph). Large crystal LCD display. The circuit also increases R25, R27, C11, C13, used to reduce static noise. 1x OCL Two Channel 25W 2 Amplifier Board Module Electronic DIY Kits. Circuit Schematics PCB board size: 70X190mm. You will find your favorite products. 1 x Solder Wick Braid. Color: Black. This international order may take longer to arrive. Local pick up is not available. Positive and negative pole and electric door lock Phase angle: 60/120. -Custom aluminum shell, good heat dissipation, low temperature. Transfer line:Black, red, and green composite plug. Holzer line:Five wire plug. Use the 4-wire cable to connect the I2C splitter and add a compass module, external LED, digital airspeed sensor, or other peripherals to your vehicle. - Pixhawk-I2C module x 1. 2 Pcs Angled Socket H7 Ceramic Extention Headlight Lamp Connector Wirings Harness. H7 Headlight Connector. 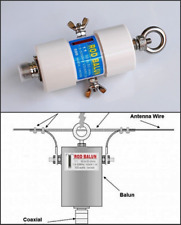 It can be use on any standard H7 bulb housing for extension or replacement purpose. 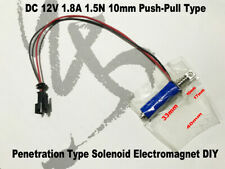 You can also connect this socket connector to any 12V power source to create a New light outlet. 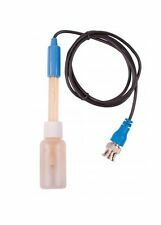 This ceramic connector is higher quality than the usual plastic connectors that overheat and melt from oversized bulbs and loose connections. Brand Unbranded MPN Does not apply UPC 4894462063057 EAN 4894462063057 ISBN 4894462063057. Entrée : 100 ~ 240V AC 50 / 60Hz. Input : 100~240V AC 50/60HZ. Sortie : DC 12 V 0,5 A (500mA). P olarité du connecteur DC : positive à l'intérieur, négatif à l'extérieur. Output : DC 12 V 0,5 A (500mA). Sortie : DC 9V 1A. Output : DC 9V 1A. Entrée : 100 ~ 240V AC 50 / 60Hz. Input : 100~240V AC 50/60HZ. P olarité du connecteur DC : positive à l'intérieur, négatif à l'extérieur. DC Connector polarity:Positive inside, Negative Outside. 1 x ADUM3160 USB Isolation Module. Tested part does not support the USB wireless network card, see USB flash drive. Avoid driving, it is more convenient to use. Due to the difference between different monitors, the picture may not reflect the actual color of the item. Sortie : DC 5V 2A. Output : DC 5V 2A. Entrée : 100 ~ 240V AC 50 / 60Hz. Input : 100~240V AC 50/60HZ. P olarité du connecteur DC : positive à l'intérieur, négatif à l'extérieur. DC Connector polarity :Positive inside, Negative Outside. 1 X KA2284. Arduino Module. Five-point LED audio level indicator kit. 2 X XH2.54-2P Curve connectors. Constant current output. PCB Board Size : 40X19mm. Brightness level in amplitude can be adjusted. Wiring diagram (kit contains two 150mm long cables).